Learn how to service sewing machines through hands on training and open a profitable business or save money on your own repairs. This is not a book, video or home study course. We buy used Elna and Bernina Sewing Machines, books, parts and accessories. Please quote your price, including shipping, in your first offer to sell. Only you know your selling price. E-mail with "What will you pay for...........?" may be deleted. This is not a free appraisal service. If we have the Bernina part you need in stock, it will be listed on this page. If it is not listed, we don't have it. Almost all of your questions will be answered here. I travel to my repair classes frequently and am not always at home to process orders or answer e-mail immediately. If you must have it instantly, please ask BEFORE you order. POST OFFICE and OTHER SHIPPING COMPANIES: Please give them time to deliver. I would suggest at least 2 days longer than you THINK it will take, before you panic. IF YOU DON'T TRUST THIS BUSINESS nor BELIEVE IN THE "GOLDEN RULE", you should hit the back button now. MY GOAL is to provide the best buying experience anywhere. MY ONLY PROMISE is to do my best for you. There will always be someone who will sell a worse product at a little cheaper price and offer no service after the sale. Nice fresh oats sell for a fair price that makes everyone happy. Oats that have already been through the horse often sell a little cheaper. We search for the best quality products at the lowest price. We offer free advice or instruction after the sale. Is your sewing machine sick? Copyright © 2002-2015 Raymond F. White. All Rights Reserved. If you inquire about a foot control or cord, please provide the following information. 1. Very important Provide the "TYPE" number on the bottom of your control. Mention the TYPE number when inquiring about or ordering a control. 2. Very important Click on the cord pictures below and advise what cord fits your machine and control receptacles. 3. Very important Most foot controls and cords are sold separately. Do you need the foot control without a cord? Do you need the cord without the foot control? Do you need the COMPLETE foot control and cord assembly? NOTE: Motors and electronic parts warranty. We test all motors and electronic parts for proper operation before shipping, so we know they are working before we ship them. 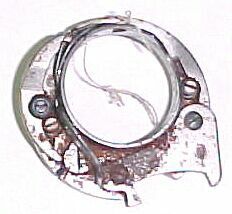 A new motor or circuit board may be fried instantly when connected to other malfunctioning components that may be in your machine. We can no longer replace or refund motors and electronic parts that are damaged by improper installation or any other circumstances beyond our control. 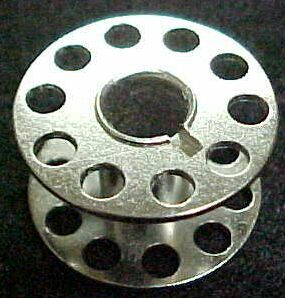 These foot controls fit many different models of Bernina sewing machines. The secret to what control fits your Bernina is the number of pin connectors on the side of the foot control and the TYPE number on the bottom of your old foot control. Click on the picture above to enlarge and look at the pin connection in the lower right corner. If there are two pin connectors on your old foot control, order the BFC213 control. If there are three pin connectors on your old foot control, order the BFC232 control. complete control/cord unit, ready to plug in. Foot Control, Bernina 830, 801, and other models. 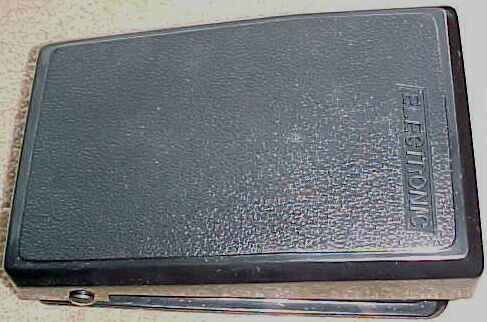 290 Type with cord. Fits Bernina models with this type of cord configuration. 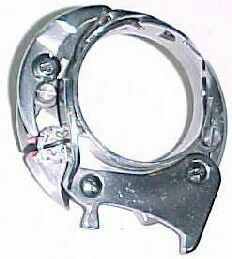 Part # P10049307 New Bernette type 334, 334D, 334DS control ----------------------------------$179.00. The following controls have been replaced with the improved type 0026417012R style control. NOTE: The following generic controls are designed to replace most two wire controls (Two wires connecting inside the foot control). They will not replace any three wire control (Three wires connecting inside the foot control). You must cut the original cord plug off (foot control end) and wire these controls direct. NOTE: These controls have a two wire connection and will not replace controls with a three pin connection. We will wire your control at no charge, when you trade in the old cord/control unit or purchase a new cord. What TYPE of Bernina foot controls may not be replaced with the #402 or BCEF control? * # 402 or BCEF controls will not replace the type 232 control with the three wire (pin) connection. * # 402 or BCEF controls will not replace the type 290 control with the three wire (pin) connection. * # 402 or BCEF controls will not replace the Bernette 334 three wire connection style control. * # 402 or BCEF controls will not replace the Bernina type # 347 control. * # 402 or BCEF controls will not replace the Bernina type # 366 control. * # 402 or BCEF controls will not replace the Bernina type # 367 control. BERNINA 900 NOVA foot control. FOOT CONTROL/CORD conversion set for obsolete Bernina Nova 900 type # 043 foot control and circuit board. Includes instructions and illustrations for installation. 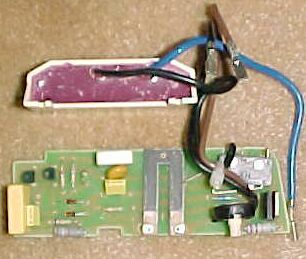 NOTE: The original Bernina foot control and circuit board has been discontinued and is no longer available. When the old type 043 controls were available, many people replaced the very expensive 043 control, only to find the internal electronic circuit board was also bad. This conversion replaces the foot control, cord and electronic circuit board with all new parts. NOTE: The new foot control does not look like the original round control, nor does it connect to the original three pin receptacle on the machine. The conversion requires some mechanical and electrical skills and should be performed by a qualified electrical technician. These are new manufacture circuit boards for TYPE 232 and 290 foot controls. I personally test each board for proper operation before shipping, so I know it works. Our suppliers will not accept returns due to possible installation damage. I cannot assume responsibility for installation by others and do not accept returns on circuit boards. Order by brush size or mail an old motor brush with the order. Motor brushes must be ordered by part number. If the old brush is not available to mail with your order, any machine shop has the tool to provide you with the precise measurements of the motor brush holder necessary to order the correct size. I can no longer be responsible if the incorrect size is ordered. 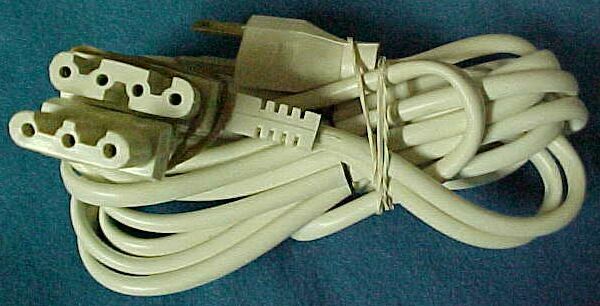 NOTE: I can't see your machine to determine which cord pictured below will fit. Identify and order your cord after checking your machine/foot control plug configuration, then order by our part number. Our supply companies do not list every Bernina model number, even though most of the parts are available. 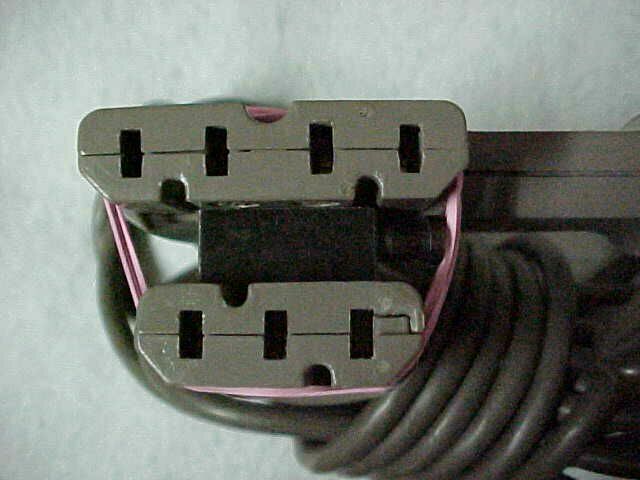 One of the three cords listed below fit most Bernina models. 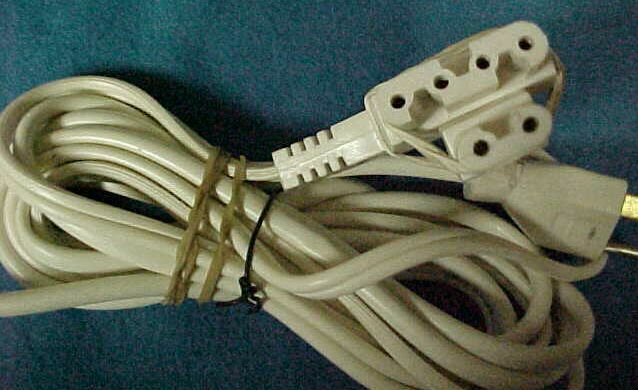 The top connector in the picture is the machine end. 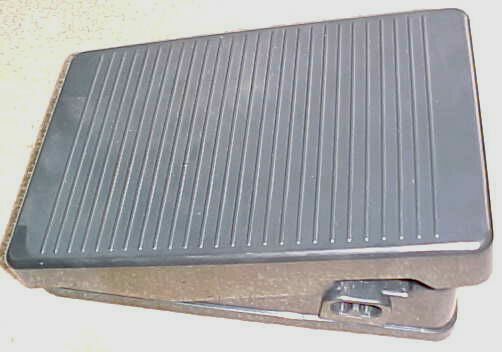 The lower connector is the foot control end. NOTE: If your machine receptacle has a three pin connection, this four pin grounded connector will work, as the fourth ground pin is not used. Every Bernina model number this bobbin case fits is not listed. 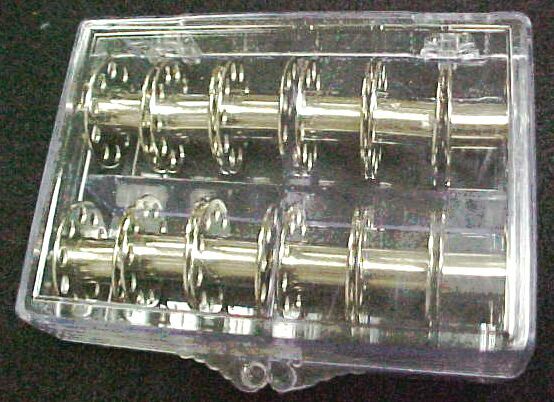 If your bobbin case looks like the one in the picture, this is the one you need. If your bobbin looks like the one in the picture, this is the one you need. Sorry, we no longer special order Bernina manuals. I have the following manuals in stock. If it is not listed here, I don't sell it. I do not sell manuals "on approval". All orders for manuals must be mailed with our order form. BERNINA SERVICE MANUALS ARE NOT AVAILABLE !